A few months ago, a musical mystro mentioned about a humble, intriguing and passionate music fan that was looking to illustrate UK Hip Hop in a positive and innovative way. Marina Antonova openly explains how she knew nothing of Hip Hop, and after a choice encounter with Semtex among others her whole perspective of the scene was altered. Since then she’s been on a covert mission to do something to mark the scene’s influence and creativity and show the beauty of (certain) elements of the art form. Vice contacted her to show the Delegates Of Rhyme’s take on things and also to show appreciation for what she was doing. After a few months of silence, Marina kindly returned with an almost heartbreaking tale of her crushed ambitions, and, as promised, a mention of DOR’s music. We know how hard this industry can be, and it’s horrible seeing people trying to make a difference and being stopped at every turn. We can’t say too much about what she is doing, but know this, if she reaches out for support we will be there, and you, as a fellow Hip Hop fan, alas, a fan of music, should also answer the call when it’s time. We firstly want to apologise for our lack of communication over the last few months. We are finishing of our album “Assemblage”, readying the next single release, arranging remixes, organising and planning videos and generally maintaining the way that serious independent artists do! But have no fear! We will be back very soon with some more Delegates Of Rhyme goodness to pump through your speakers! We will be in touch again very soon, but in the meantime, thank you as ever for supporting us. During the influx of new supporters for “Stresses and Definitions” helping us to develop our support and help to further our opportunity of collaboration and making even more music we were lucky enough to spotted by the amazing online community called Urban Vault. UV is much more than a blog, with it’s own clothing line and UV Academy (their You Tube channel) they are giving artists, like ourselves, a platform to develop their music and create links in the indusrty. Giles Sawyer, the creator of Urban Vault has been a massive support, blogging the release of Stresses, and also taking the time out to interview both Vice and Donnie Numeric. Please take time out to check Urban Vault. There’s some great independent music on there from artists that deserve to be heard. Once again, thank you to Giles and the UV family. 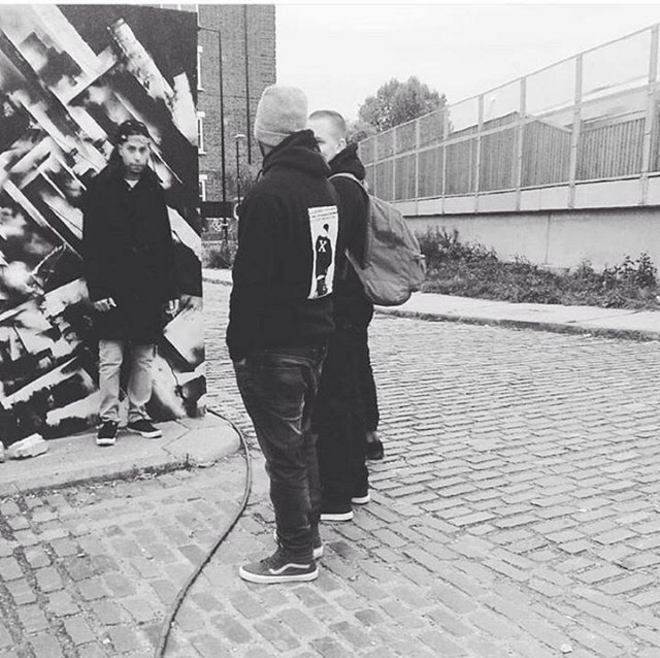 Donnie Numeric of the Delegates Of Rhyme has finally released the first visuals from the long awaited “Yellow Haze” project with a great track entitled “London Blues”. Directed by Fresh Take, the visuals show London from an alternate view. With beautiful close ups of city life twinned with subtle visual effects. Be sure to stay tuned for the next installment, and for brand new Delegates Of Rhyme music coming in January 2014! Howdi people, it’s been a while! Since we last spoke there’s been LOADS going on, but we will fill you in with all that Jazz soon, but for now let’s tell you about this goodness! Donnie Numeric is finally ready to unleash the very secretive “Yellow Haze” project alongside the Nova Collective, the creative team who are behind the majority of Donnie’s recordings. Offering an eclectic, mature and uplifting sound, we will release more info very soon so stay tuned!